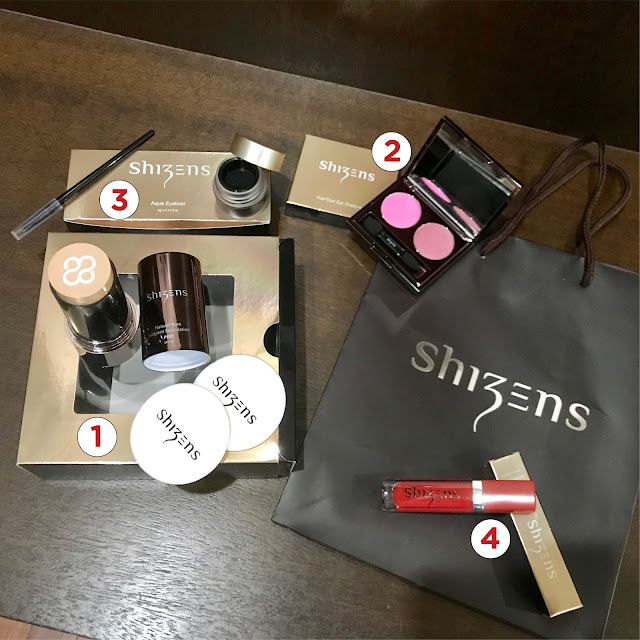 Shizens is an up and coming skincare and cosmetic brand, propelling its expansion in Malaysia as well as the regional market. Inspired and infused by bountiful natural ingredients, Shizens offers a wide range of products. From make-up to skincare, all products are created to revive and nourish a person’s natural beauty. 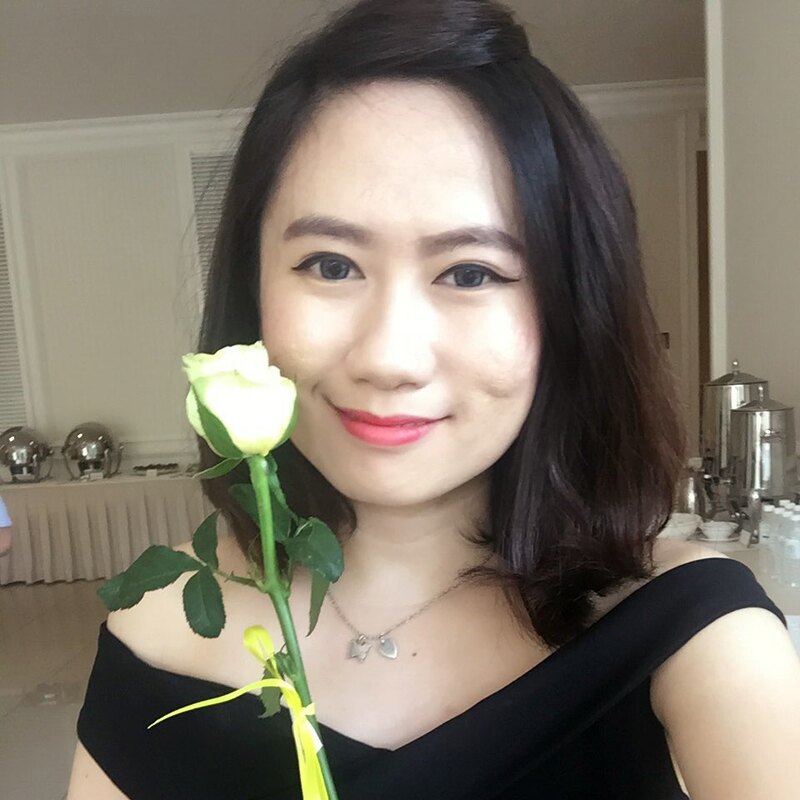 Shizens believes everyone has a unique natural beauty that should not be concealed but to be revealed. Shizens is here to enhance the confidence level of everyone in revealing their uniqueness. The enhancement look will then be completed with these 4 make-up items, including Natural Pore Nutrient Foudation PRO, Hue-Duo Eyeshadow (Sepia Pink), Aqua eyeliner (Black), and Smack Lips. Apply Natural Pore Nutrient Foundation PRO on whole face as make-up base. This extremely light weight, sheer and silky foundation is 100% talc-free to create make-up against fine lines and pore imperfection. The essential moisture essence in this product imparted with Vitamin E further pamper skin with a touch of moist and clean sensation. After applied skincare and primer, use Natural Pore Nutrient Foundation PRO to roll-up overall surface and spread the foundation on 5 parts: Forehead, both cheek, nose and chin then use sponge, beauty blender or foundation brush (Kabuki brush) to blend it evenly. Still looking for an eye shadow that able to bring out the charm in your eyes? Sweep Shizens Hue-Duo Eye Shadow for a desirable pair of attractive-looking eyes. Available in 3 shades - Sepia Pink, Mocha Glow and Khaki Glitz, each gives different mood to your appearance. To achieve an alluring eye makeover with Shizens brand new Aqua eyeliner. Aqua eyeliner is a cushion type liquid eyeliner which is smudge-proof and long-wearing up to 12 hours. Its lightweight and quick-drying formula allowing you to glides on the lids in a fluid stroke. The cushion sponge allows the comprised brush to fully saturated in rich and highly pigmented liquid eyeliner for sooth and even application. Dip the brush into the eyeliner cushion, then draw across the lid in a smooth and fluid motion to create versatile beauty looks. The VISAGE look end perfectly with Smack Lips,which is a long-wearing and stunning matte lipstick that stand you out in the look. The series comprises of Red Cherry, Plum Wine, Cherry Blossom, and Orange Tango. Smack Lips enriched with coconut oil and sunflower butter to lock in moisture in your lips thus prevent skin peeling while cover blemishes effectively. Shizens is doing a special promotion. 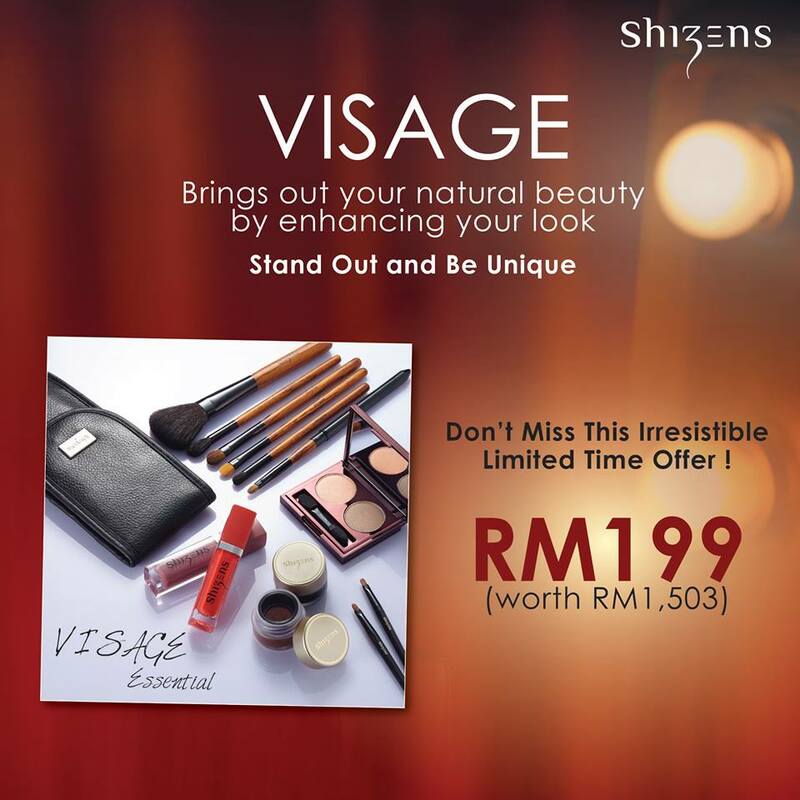 Shizens VISAGE Essential set now RM 199 instead of RM 1,503. It is available from 1st March to 31st May 2017 at major Shziens stores. Hurry up while stock last!!! Wanna to have a FREE makeover? To my readers, if you want to redeem/experience VISAGE makeover by showing unique code “VISAGE01” to Shizens's beauty advisor at major Shizens stores. 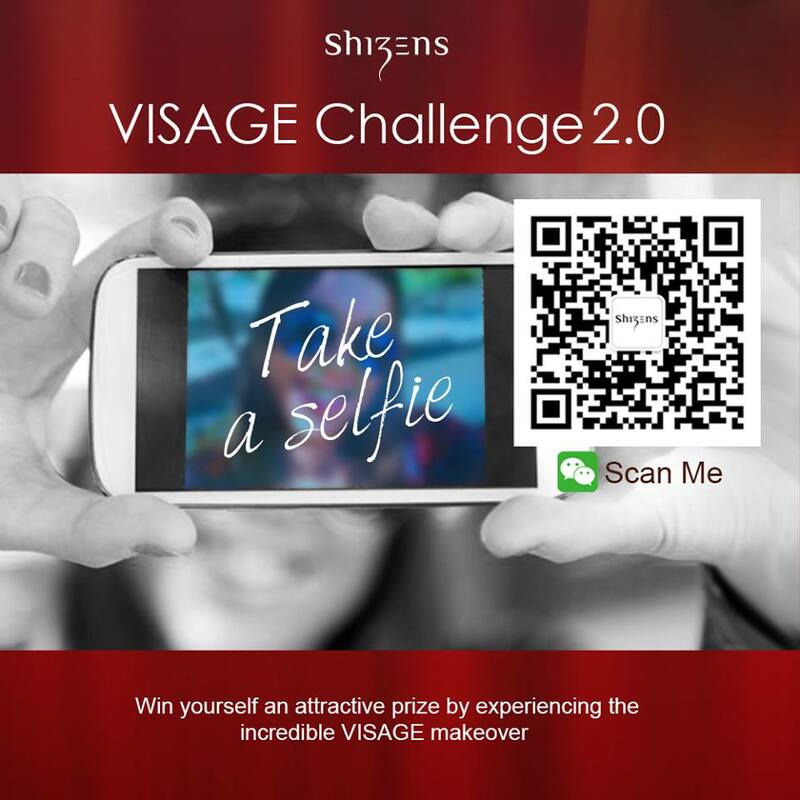 Come and join me at the snap & win contest. Simple and easy!! !